“It’s hard to imagine a worse place to be a woman than Afghanistan right now, where girls are thrown in hideous jails for “moral crimes” such as leaving a violent husband. 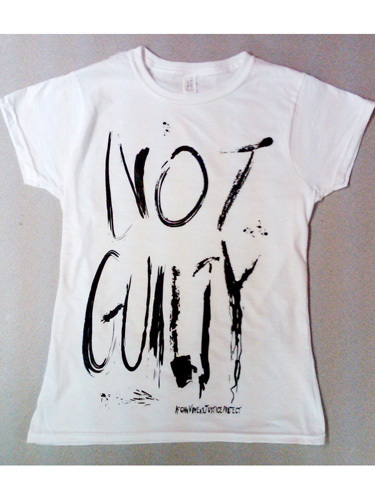 Karen Day’s piece in Marie Claire February issue — on newsstands everywhere Jan. 18 — so moved us, we designed this “Not Guilty” T-shirt ($25) to raise money to help the women in her story. Entry filed under: Uncategorized. Tags: Afghan Women's Justice Project, afghanistan, developing world, Karen Day, marie claire, women.